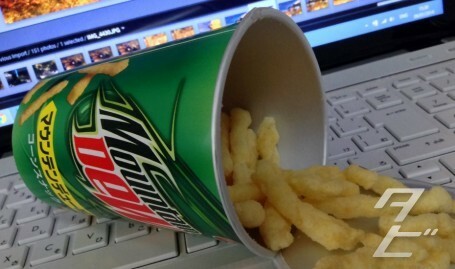 From Frito Lay, the same company that brought you Pepsi-flavour snacks last summer, here comes Mountain Dew flavour! 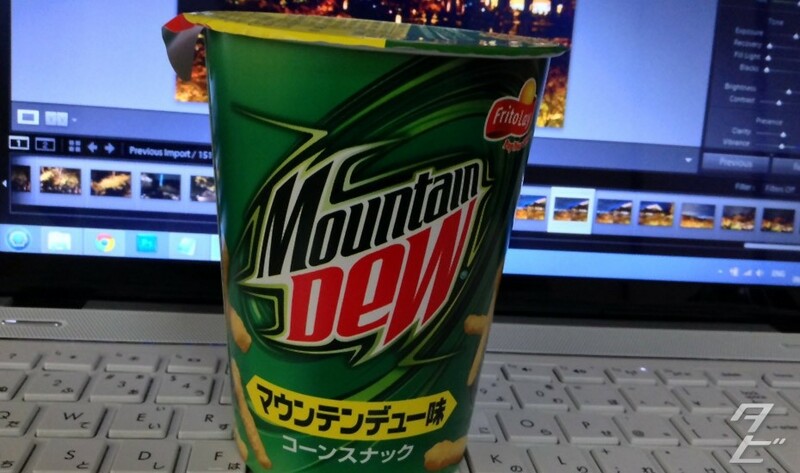 Mountain Dew’s popularity in England peaked back in the mid-nineties, but it’s still reasonably popular in other countries – apparently enough so here in Japan to warrant a limited edition snack. I can’t remember the exact price, but it was around ¥170(£1) for a tub, what you’ll find inside are pretty similar to Nik Naks or Cheetos. 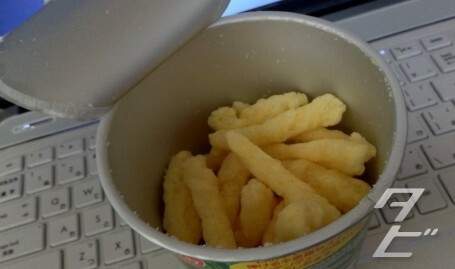 The taste was a strange mix of corn, lemon and lime with a faint fizzy tang – pour some sprite into a bag of Cheetos and shake for a similar effect! I saw these on kotaku, how were they? Better than nick nacks?